The 2nd Coming of Jesus Christ has been postponed till 1,290 days from Christmas 2015. 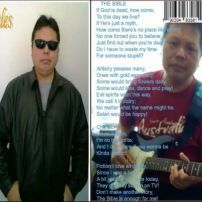 Let the wicked continue with their wickedness, let the idolaters continue with their idolatry, let the prostitutes continue with their prostitution, let the arrogant continue with their arrogance! May the murderers flourish, may the thieves succeed with their looting! If you think you can somehow discern, feel free to browse this website. If not, just do what you please, God does not need you. 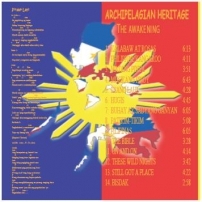 There would be more calamities, plagues, disasters, earthquakes, volcanic eruptions, diseases, typhoons, hurricanes, tornadoes, scorching heat, extreme cold, drought and economic crisis to come. So do with oppression, corruption, usury and greed. There would be more wars, famine and misfortunes! At least you were given a little more time to prepare that you might not perish! I am no longer asking for Tithes and Offerings. I don't need any of your support. I am free of obligations now. I thank God for that! 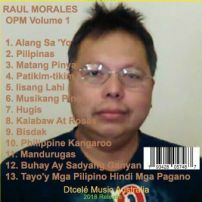 commented on "Best of Raul Morales (2019 Release)"
commented on "Raul Morales OPM Volume 1"
commented on "The Awakening (Back Cover)"
CD consists 14 songs - 9 Tagalog; 4 English; 1 Cebuano. 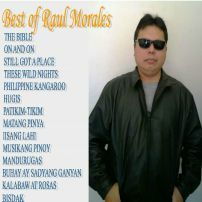 commented on "Best of Raul Morales"